Help your students make the connection between line and landform as they literally build three landforms from the measurements of the corresponding topographic maps. Working together, students cut a layer of foam to represent each contour on the map, then put them all together to create a three-dimensional model. They then answer questions about topographic maps and landform features to reinforce what they’ve learned. 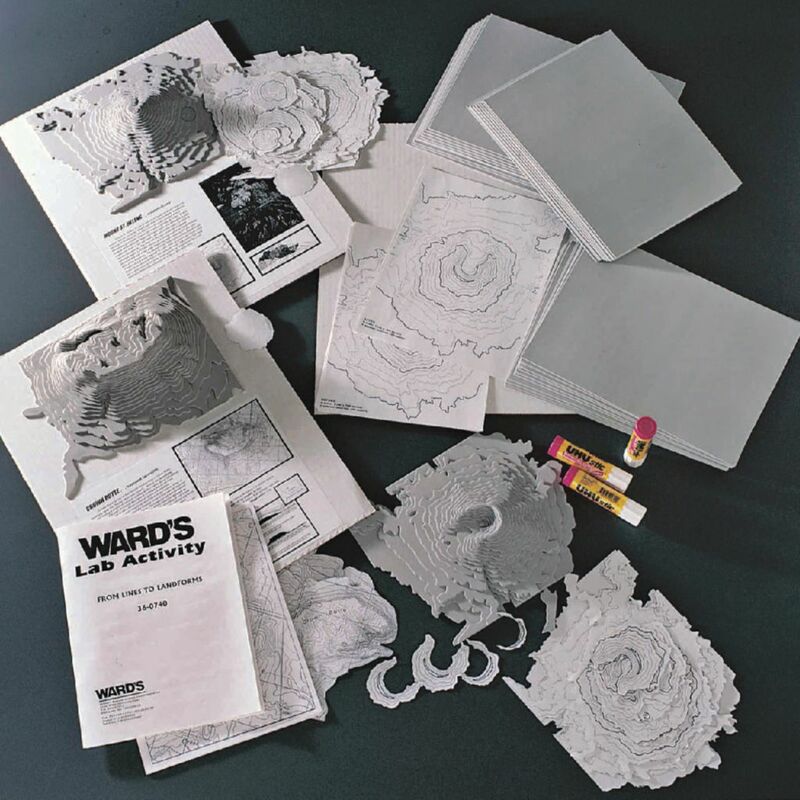 The lab activity comes with materials for three models: Crown Butte, Montana; a laccolith; and “before” and “after” eruption models of Mount St. Helen’s. You will get foam sheets, mounting boards, topo guide patterns, a teacher’s guide, and student copymasters. The activity can be used with any-size class.